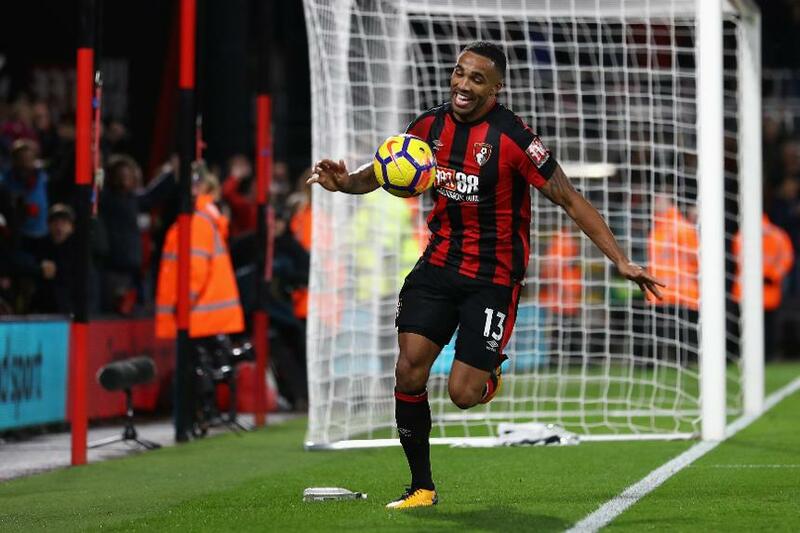 With his three goals for AFC Bournemouth against Huddersfield Town on Saturday, Callum Wilson not only claimed the match ball and confirmed his recovery from a double-injury setback, but added his name to the Premier League record books and put himself ahead of Michael Owen. Wilson's hat-trick was his second in 36 Premier League appearances, the fastest an English player has achieved two hat-tricks since Robbie Fowler scored his second treble for Liverpool in August 1994. That Fowler hat-trick against Arsenal was his second in only 30 PL appearances. Aside from Fowler, only Andrew Cole (27 matches) and Les Ferdinand (33) have achieved this feat faster than Wilson, whose progress in the competition was hit by cruciate ligament injuries in September 2015 and again in January this year. The 25-year-old's second hat-trick came in eight fewer matches than Owen achieved for Liverpool, against Newcastle United, in August 1998. The overall record-holder record for the fewest matches for two PL hat-tricks is Demba Ba, who took only 21 appearances to do so, four fewer than Tony Yeboah and Fernando Torres.  "There's no better place to get a hat-trick than here in front of the family and fans."